ROSNF now has 963 registered members and we still hope to reach 1,000 this month before filing our annual report to Rotary International. Rotary eClub One was chartered January 4, 2002, as Rotary’s first club with operations supported by electronic communications, phone, and Internet. The mission of Rotary eClub One is to connect, inform, and inspire members and guests who are travel bound, place bound, or schedule bound and prevented from fulfilling traditional attendance requirements. To assist the mission ,they created “programs” (articles) and a makeup feature that attracts Rotarians from around the globe. They currently have an average of 405 unique visitors per day. The makeup feature received official recognition Monday, June 14, 2004, when the Council on Legislation 2004 adopted the Rotary eClub One, D5450 proposed enactment to add “To allow attendance credit for a 30-minute interactive club website activity” to the list of makeup venues in the standard Rotary Club Constitution and Bylaws. Rotary International is organising more webinars on social networking: 2 basic and 1 advanced. They are currently calling for expressions of interest from Rotarians interested in being panelists. They preferably would like panelists who are able to participate in all 3 webinars. Each webinar will last approximately 1 hour. In other news this week, ROSNF received notice and sample form to submit its annual report to RI which is due by October 1. Currently we have 944 registered members on www.rosnf.net and we hope to be over 1,000 when we are ready to file our report. A couple of days ago, my Rotarian Magazine began a transatlantic journey across the room where my club holds its meeting. It was an exciting meeting with an engaging speaker or should I say an attentive audience? Often I have sat through meetings without a verbal contribution, save the occasional ‘hi’ and ‘smiles’. I just sit there enjoying the conversation and thinking ‘should I say something’ or ‘what do I say’. Then there are those moments when I actively participate in meetings, move across the room and get to meet the wonderful everyday people who are my Club members. Our last meeting provided such an opportunity. One of our members, Emmanuel, is passionate about stamps so the August edition really fired him up. He took us on journey through National Stamps that have carried the Rotary Logo at any point. All you needed to do was make a contribution and you will be rewarded with the story of Rotary stamps in your country (Rotary eClub One membership is drawn from across the world). You also get to see a picture of such stamps. So I made my occasional contribution, was rewarded with Rotary stamps from Nigeria and Niger. By participating, I learned about Emmanuel’s passion and the work he does with children who are interested in stamp collection. I also got a few tips on how to start collecting without spending 🙂 and my magazine began its journey across the room. That set me think about other members sitting across the room and my interactions with them. There is Dave, who devotes over 50% of his time to organizing RYLA programs and still manages to keep his job; Chris who happens to be the go-to person on matters relating to eClubs; Henry-never misses a meeting and lightens up the house; Carol our IPP, makes me feel I can (physically) see everyone in the room when she leads the meeting. There are so many other members with whom I have interacted with, just by crossing the room and others who I look forward to interacting with. Being in a Rotary eClub is not rocket science, it is like being a member of any other Rotary club. Of course, there is the aspect of using technology to facilitate activities, extended meeting duration and the ease of maintaining membership requirement. Anytime, I login to the Club House I consider myself to have taken a seat in the room. My first action is usually to look around and see who else is in the room, sitting beside me or across the room. The added plus is that I can bring myself up to speed on the agenda without disrupting the meeting; decide what my contributions will be and make same at my convenience. Hmm, at my convenience is not always a good thing though, as sometimes another member will have stepped up with same ideas I had wanted to share. Being in a Rotary eClub will not provide an escape from Rotary membership requirements, however it may make it easier for you to fulfill them. Hi everyone! I will be chairing the ROSNF Training Committee this year, and am raring to get this committee up and running. Some of the existing members of the committee regularly post articles and tips on our Facebook page and here on rosnf.net, so I think that aspect is currently working well. 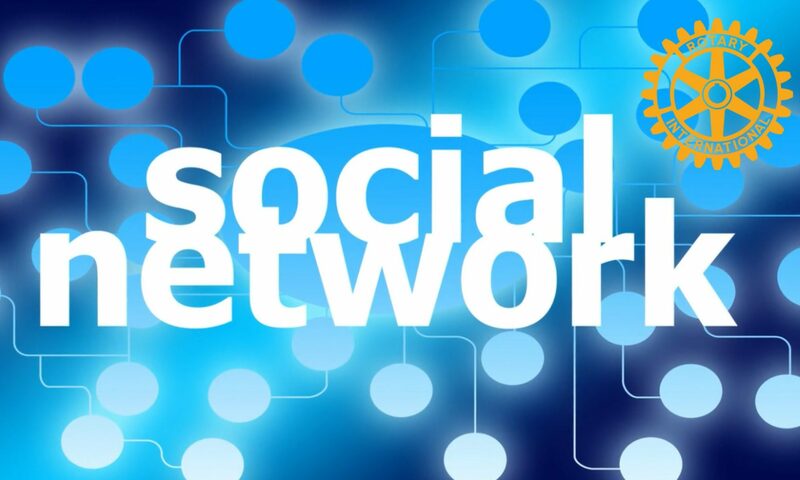 Are there any aspects of social networking that you would like to see us provide resources for? What I think we do need to improve is with our Social Network Champions project. Quite a number of ROSNF members have signed up to be Champions at a club, district or zone level, but we aren’t coordinating that in any way. A discussion group for Social Network Champions exists on rosnf.net but has hardly been utilized. I think first and foremost we need a volunteer to co-ordinate this project, to make sure that whatever resources Champions would like are addressed by ROSNF. For example, would it be beneficial to have a Facebook group for Social Network Champions to specifically discuss getting social media better adopted in their club / district / zone? Are there step-by-step guides or powerpoint presentations that we could be providing to assist with that? What other training needs should we be addressing? If you would like to assist with training or coordinating projects such as our Social Network Champions, please join the Training Committee group. I encourage everyone to contact their own district fellowship committee chairs and make them aware of ROSNF. And if you haven’t already, you can also help your district and club create Facebook pages to promote Rotary with club members and the public at large on Facebook. I hope to get the code updated to current Facebook and MySQL standards and up and running on Facebook in the coming weeks if all goes well. If there are some on this thread interested in helping, let me know. I view this as a proto-type of the proposed RI Rotary hub serving those on Facebook. I’m hopeful that this application will allow Rotarians and Rotaractors on Facebook to try it out and provide feedback on what works, what doesn’t, etc. This first ROSNF Facebook application will allow users to add their Rotary profile information and then they can use this application to search for other Rotarians and Rotaractors who have chosen to share their Rotary profile information. The search can be on any field in the Rotary profile such as name, district, club, classification, position, projects, etc. When matches are found, the Facebook profile pictures, names, and profile links are displayed. Once this application is up and running with minimum of changes, then phase 2 hopefully will consist of replacing user entry of district and club name with real time access to RI One Rotary database service in real time to allow user to select zone, district, and club from pull down menus and avoid all the issues with entering name of club. Thanks to Peter Markos and his RI staff, I have the information on how to make this change but I just have not gotten to that stage yet. Again I’m still looking for any Rotarians or Rotaractors interested in helping and becoming Facebook application experts in the process learning PHP, SQL, and Facebook API’s.